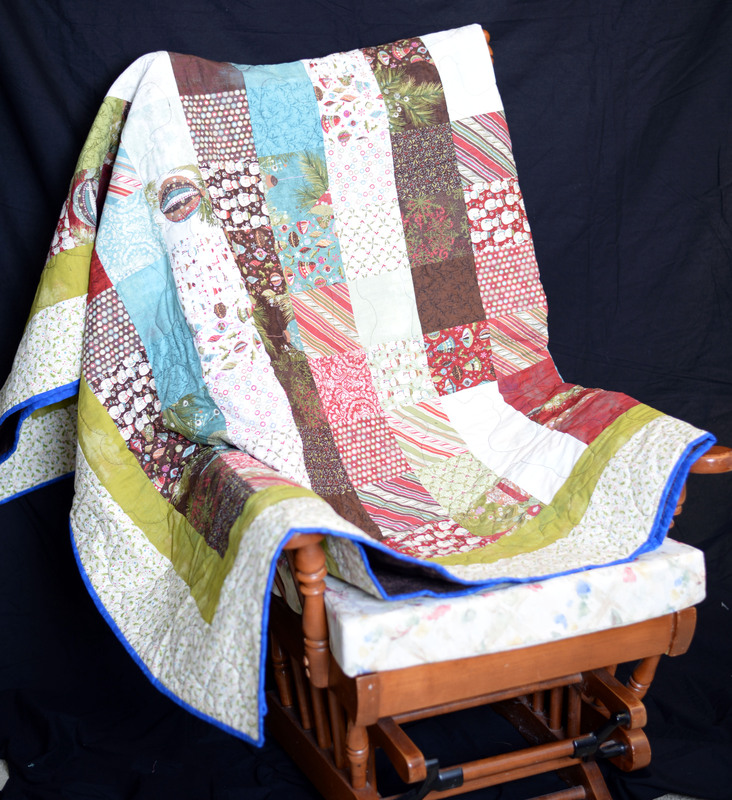 This is a Twin size quilt using 100% cotton fabrics. 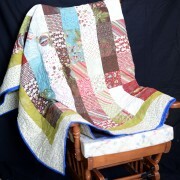 This is made from a charm pack (5″ squares) of Christmas fabrics that have a brownish hue to them. The size is 73″ X 86″. It is free-style quilted. It would be great on the back of the couch during the Christmas season to be used to ward off those cool and cold winter evenings.